Soft Heart Foundation, which was established with the blessing of people with kind hearts, laid foundation stone for its first social care programme on 10.01.2019. Soft Heart Foundation was established with the view to lend helping hand to the Sales Agents and Sales Assistants as well as customers of DLB, who live under the bitter conditions. 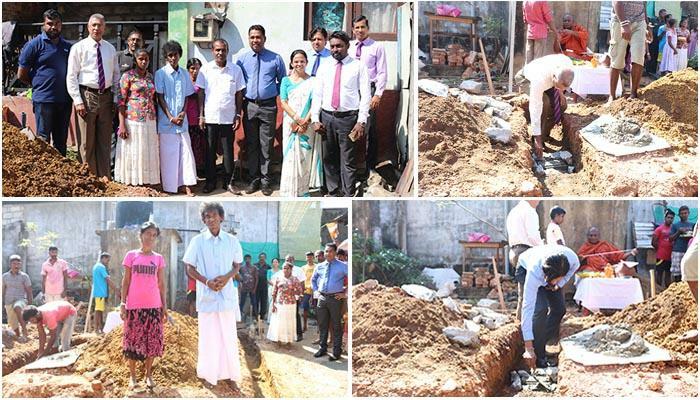 Therefore the Foundation, which was established as a charity organization with the donations of various philanthropists, has decided to construct a house for Mr. Somasiri and his wife working as Sales Assistants under Mrs. B.N.Inoka Mendis, Sales Agent of Rawathawaththa, Moratuwa. Since these couple, who are living under various economic hardships whilst suffering from physical illnesses, don't have their own shelter, action was initiated yesterday for making a shelter for these needy couple. Foundation stone was laid for construction of the shelter at Pahala Indibedda area with the expectation to compete it within two weeks. Miss. Vijitha Somarathna, Deputy General Manager(Finance), Mr. Sunil Jayarathna , (Assistant General Manager (Sales) ,Wasantha Senadeera (Assistant General Manager (Audit) Mr. Chinthaka Ilapperuma, Mr.Malinda Balagalla (Zonal Managers) and office bearers of Soft Heart Foundation have participated in the event. The event ,which marked the awarding of cheque to the ninth lucky winner of super jackpot of Ada Kotipathi, took place recently (05.12.2018) at the auditorium of DLB. 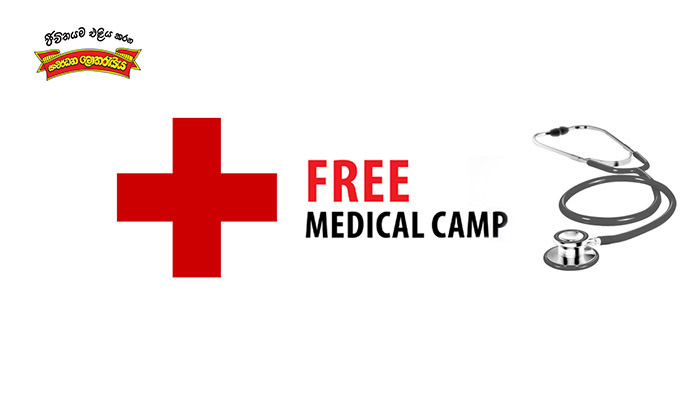 DLB has decided to hold a medical camp free of charge with a view to provide medical facilities to Sales Agents and Sales Assistants of DLB in Colombo district. The medical camp is due to be held on 15th December at 0.00 A.M. at the premises of Head Office, Colombo. DLB, the presenter of winners, recently offered cheques to 37 winners including one super winner.